Woah... THIS JUST IN! Research In Motion has fired off a press release letting the world know that the BlackBerry 10 Launch Event will be happening January 30th, 2013! What a great way to start the week. And it's great to see that things are definitely ON TRACK. This is happening boys and girls. Save those pennies and get ready for BB10! I think that's the first time I have ever put 10 exclamation marks on an article title. #BB10BELIEVE. 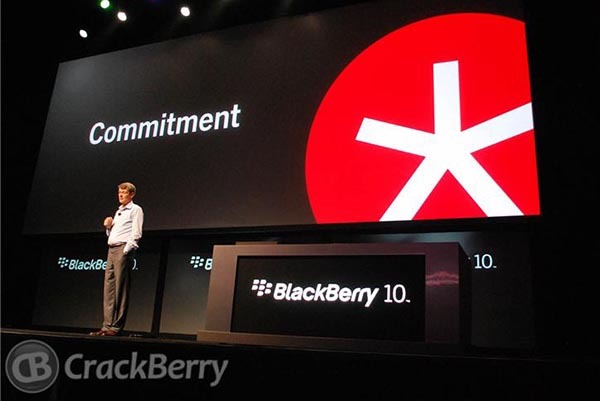 WATERLOO, ONTARIO--(Marketwire - Nov. 12, 2012) - Research In Motion (RIM) (NASDAQ:RIMM)(TSX:RIM) announced today that it will hold its BlackBerry 10 launch event on January 30th, 2013. The event will happen simultaneously in multiple countries around the world. This day will mark the official launch of its new platform - BlackBerry 10, as well as the unveiling of the first two BlackBerry 10 smartphones. Details on the smartphones and their availability will be announced at the event. The BlackBerry 10 platform has recently achieved FIPS 140-2 certification, which means that government agencies will be able to deploy BlackBerry 10 smartphones and BlackBerry Enterprise Service 10 as soon as it is available. This marks the first time BlackBerry products have been certified ahead of their launch. In addition, RIM recently announced that BlackBerry 10 smartphones have now entered more than 50 carrier labs with many more entries expected in the coming weeks. BlackBerry Flow is a new user experience that allows seamless navigation across open applications and the BlackBerry Hub. All messages, notifications, feeds, and calendar events come into the BlackBerry Hub and no matter what the user is doing with the device, with a simple gesture, they can peek into the Hub at any time. BlackBerry Balance offers the most elegant way to satisfy both customer and corporate needs without compromising on either. With BlackBerry Balance, personal apps and information are kept separate from work data, and the customer can switch from their personal to work profile with a simple gesture. The work profile is fully encrypted and secure, enabling organizations to protect their content and applications, while at the same time letting customers get the most out of their smartphone for their personal use.